As part of Open House Belfast and Belfast International Arts Festival, Ian McKnight lectured on Hall McKnight’s experiences of bringing their installation, Unique Instruments; Expectant Spaces to the Venice Biennale in 2018. 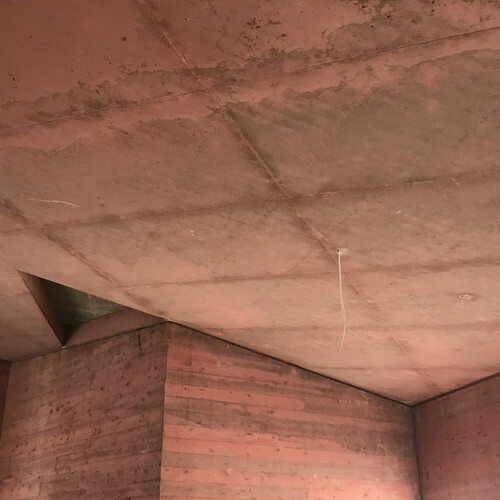 Site photo of terracotta–dyed, in situ concrete at Colin Town Centre Transport Hub. Project due to complete, late 2018. 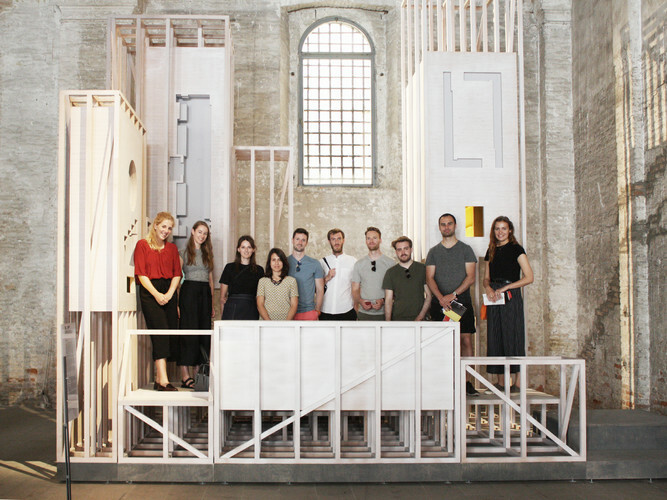 Some of the Hall McKnight team visiting our exhibit in Venice, entitled: Unique Instruments; Expectant Spaces. 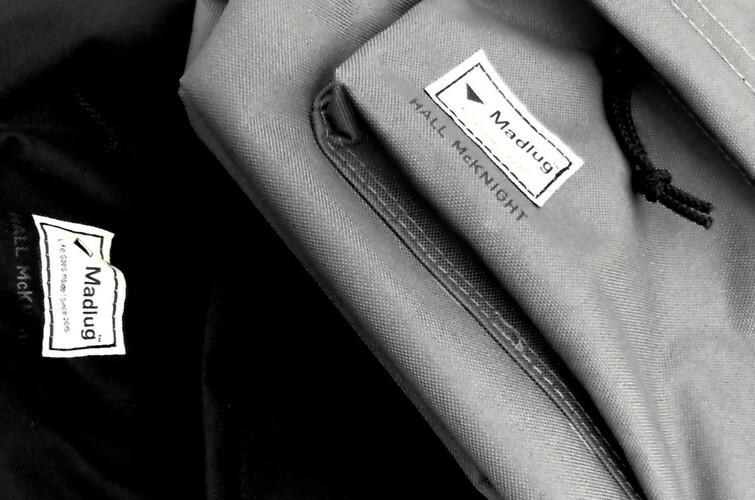 Hall McKnight has joined the Belfast–based social enterprise, Madlug, in their Corporate Partner Scheme, providing each member of our staff with a backpack, made in Belfast by Usel. For each product sold, Madlug provides an unbranded bag to a young person in care. 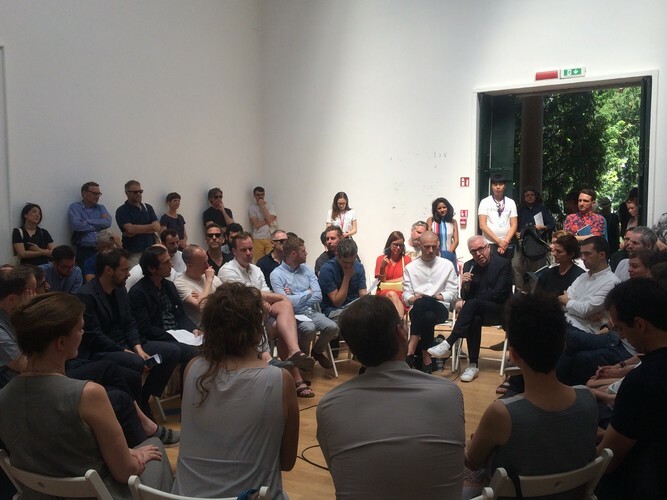 Ian participated in the RIBA Europa Supersession in the British Pavilion at the Venice Biennale. 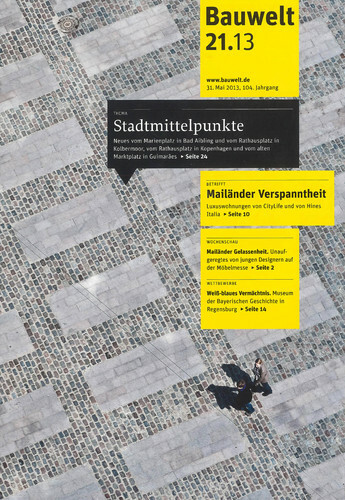 Architects from all over Europe discussed the nature of a common cultural identity as it relates to architecture, to the idea of national borders, identity and the role of an architect working in, responding to and maintaining the cultural values of place. The Vernissage (invited preview) of the 16th Venice Architecture Biennale runs from 23rd May, until the public opening on 26th May. 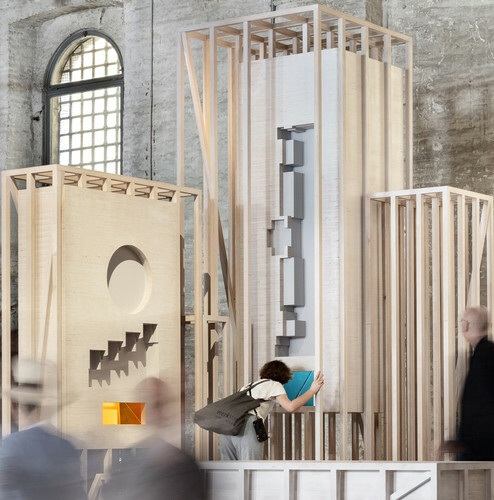 Hall McKnight are participating in the International Exhibition in the Corderie at the Arsenale and have developed their installation ‘Unique Instruments; Expectant Spaces’ in response to the Freespace manifesto defined by the Curators, Shelley McNamara and Yvonne Farrell. The installation presents 4 Freespaces from current projects within an architectural element derived from our proposal for Greenwich Peninsula. Project webpage coming soon. 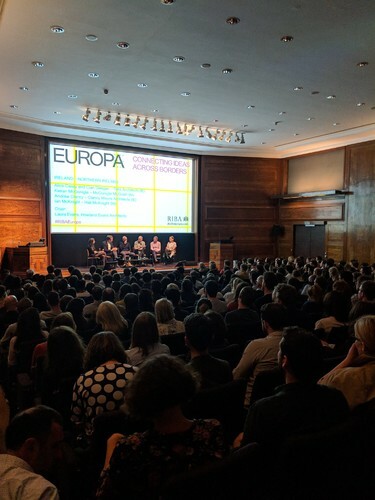 Ian McKnight joined Andrew (Clancy Moore), Alice and Cian from Taka and Ciaran from McGonigle McGrath at the final talk in the Europa series at the RIBA. 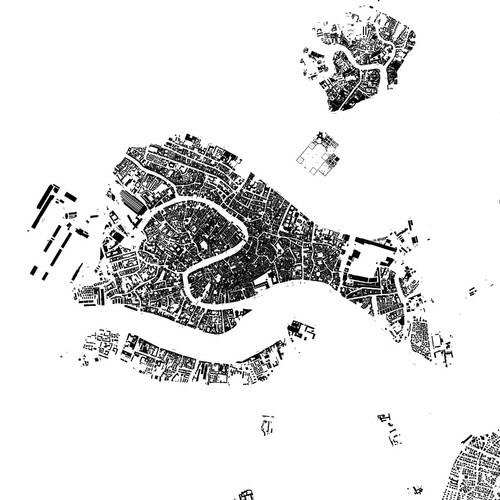 In response to Brexit, the series sought to bring two architects from either side of a shared border within Europe, finishing with the island of Ireland. Hall McKnight have been invited to the 16th International Architecture Exhibition – La Biennale di Venezia curated by Yvonne Farrell and Shelley McNamara. The Exhibition opens to the public on Saturday 26th May and runs until Sunday November 25th 2018. Mew Optic currently on site. 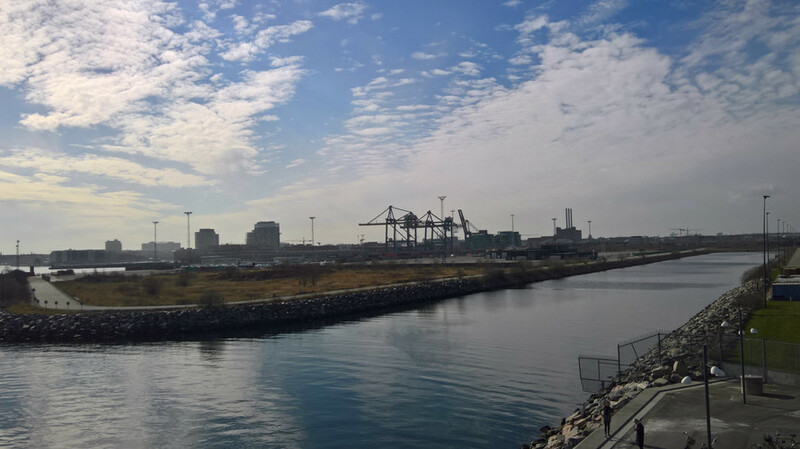 Hall McKnight is part of one of the final two successful teams to be selected to the second phase of the urban development competition at Levantkaj, Copenhagen. The team is lead by Entasis, working with GHB Landskabarkitekter, Hall McKnight, Alectia, Christine Mosbach, Dines Jørgensen & Co and Traffic. The Royal Borough of Greenwich have granted planning permission for this project, Hall McKnight’s largest to date. The project has been developed as part of the Greenwich Peninsula Masterplan by Allies and Morrison, one of the largest ongoing regeneration projects in London, and provides 242 apartments in 4 blocks of varying height around stepped and raised communal gardens. 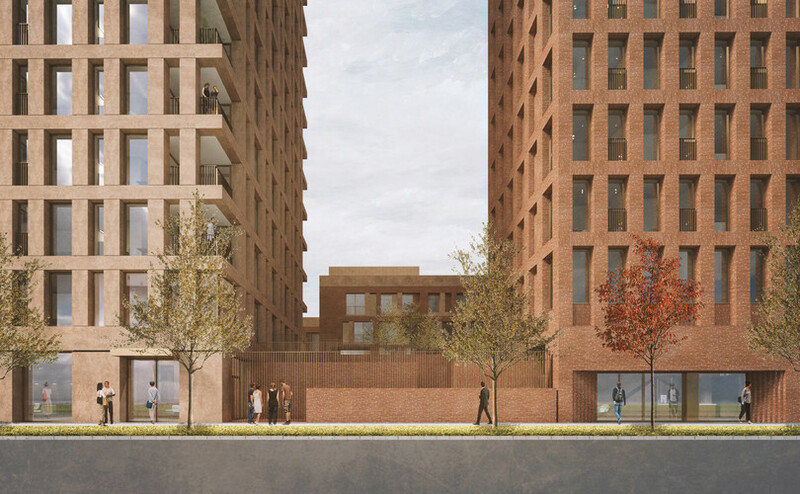 The building rises to 26 storeys and fronts the southern end of central park, and provides a large proportion of larger than average apartments as it is located adjacent to the site of a new school that will provide primary and secondary education. 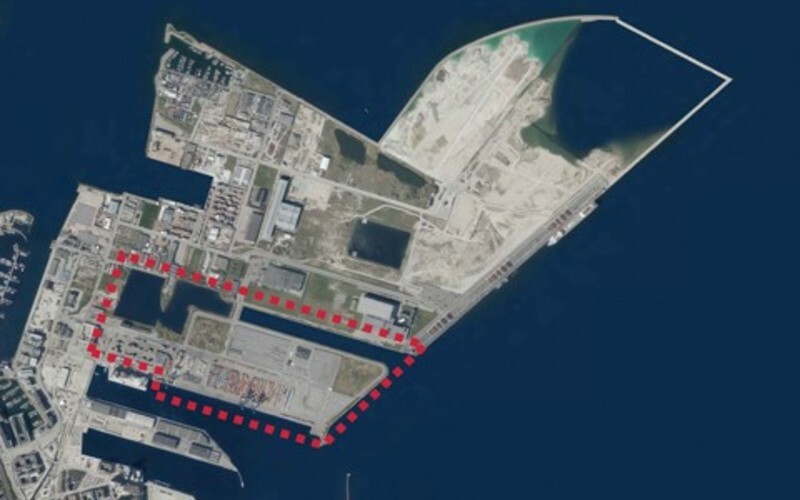 As part of a shortlisted team led by Entasis with GHB Landskab, Hall McKnight look forward to contributing to competition proposals for masterplanning of Levantkaj in the northern harbour of Copenhagen. 21st Century Engineering Project submitted for planning. Ian McKnight joins the awards jury. One of 5 practices to be shortlisted in an invited competition to design a new £7M dining hall for Homerton College, Cambridge. 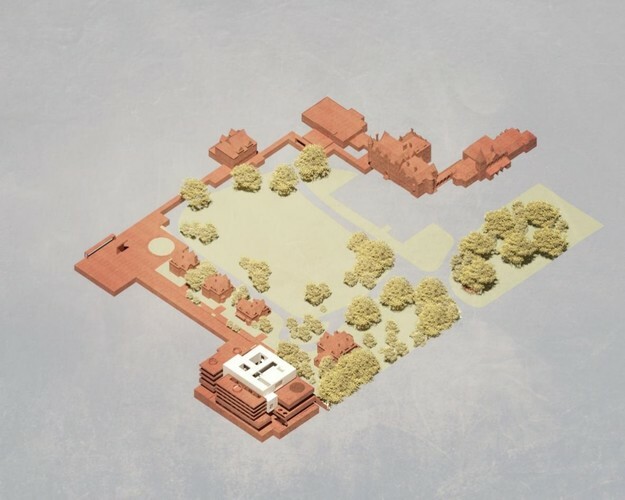 Hall McKnight are among 24 longlisted practices invited to the next stage of a competition to design a new dining hall at Homerton College, Cambridge. 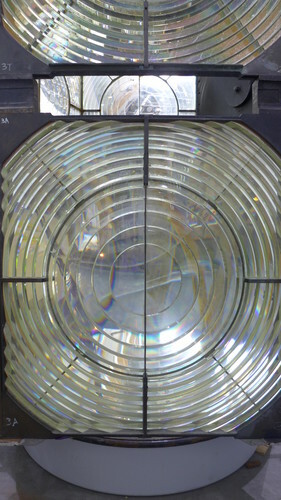 Hall McKnight have emerged as winners of a competition to design an installation that will house a rare Fresnel optic lens dating from 1887. Julian Manev, a part 2 graduate at Hall McKnight, has won the 2016 Triennial Alexander ‘Greek’ Thomson Scholarship, awarded following a competition to create an A5 sized drawing on the theme of ‘Detail’. 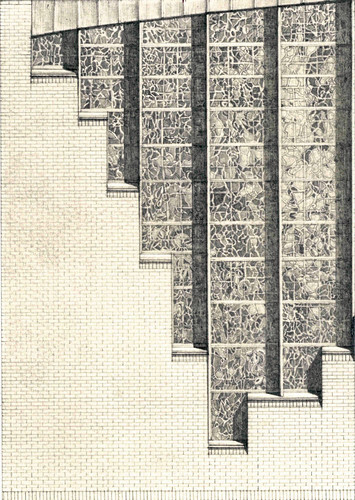 ‘Foundations’ is a pencil–on–watercolour paper drawing that presents the chapel window and stained glass of Robinson College, Cambridge designed by Andy MacMillan and Isi Metzstein of Gillespie, Kidd & Coia in the late 1970s. Alastair and Ian delivered a lecture to Schosa during their 2016 conference which was hosted by Queen’s University Belfast. 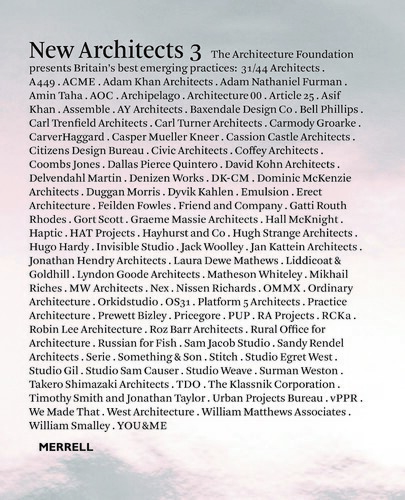 The Architecture Foundation (London) has published New Architects 3 with Merrell Publishers. The book presents just under 100 of Britain’s best emerging practices, all of which have been established since 2005. 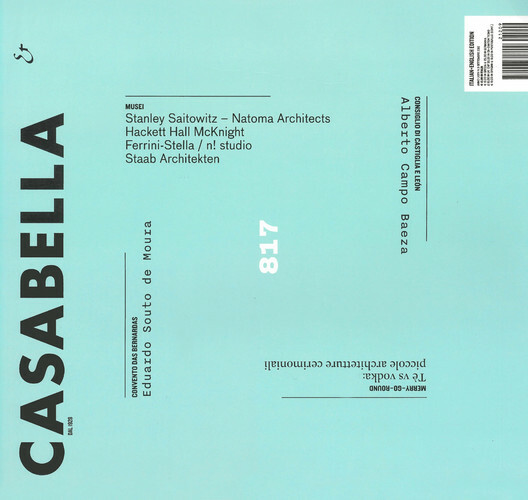 The book includes an essay by the Director of the Architecture Foundation, Ellis Woodman, and an introduction by Norman Foster. Hall McKnight are delighted to be included in this publication. Ian McKnight will lecture at 5710, the architecture society at Scott Sutherland School of Architecture, Robert Gordon University. Hall McKnight have been successful in winning the category of best housing development 1–5 units for their house in Church Road, Belfast. 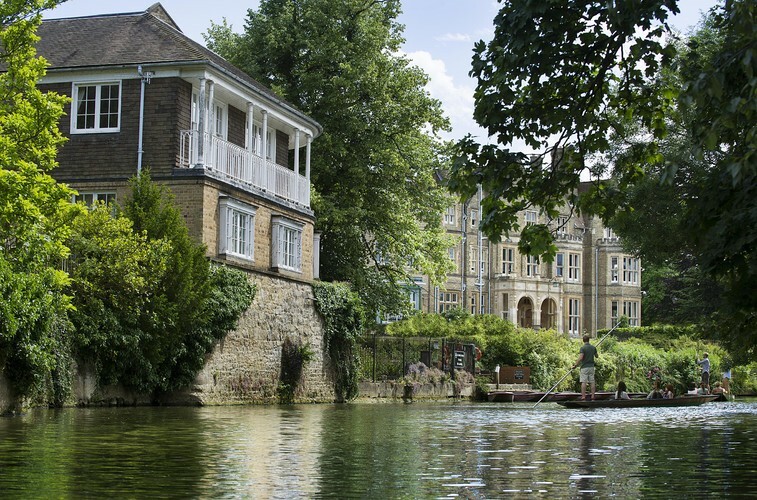 St Hilda’s College, Oxford announced Hall McKnight as one of five architectural practices on the shortlist for its new front–of–house project Redefining St Hilda’s in an invited design competition organised by Malcolm Reading Consultants. Image courtesy of Malcolm Reading Consultants/Emily Whitfield–Wicks. 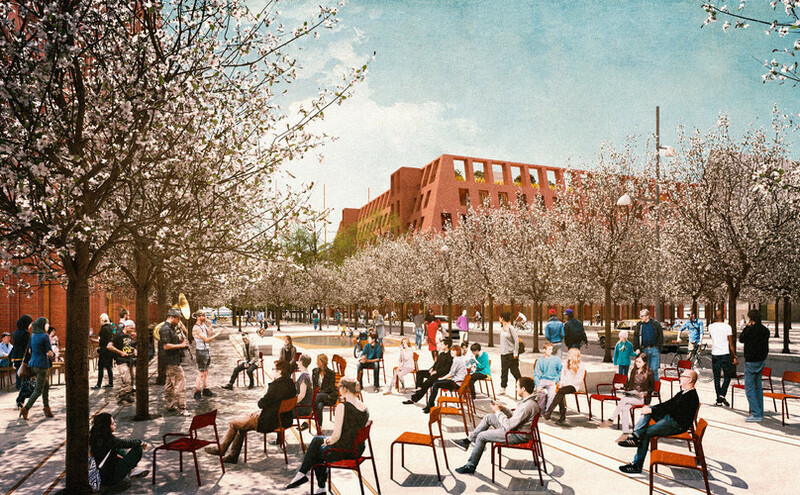 Hall McKnight has been selected as one of four finalists to compete in a second stage of an international design competition, organised by Malcolm Reading Consultants, to create a new campus gateway for Gallaudet University in Washington DC. 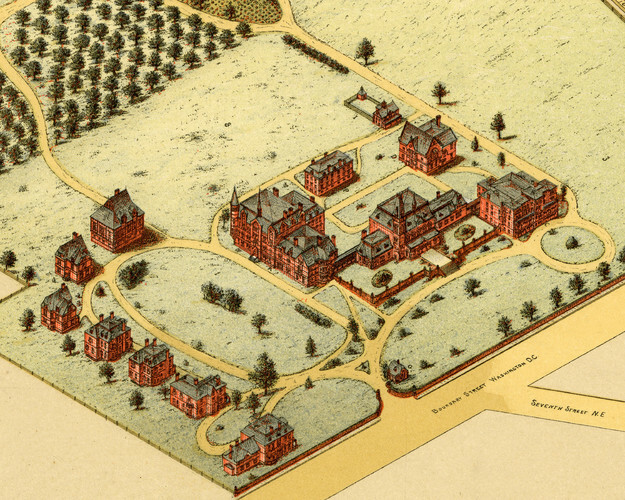 Image courtesy of Gallaudet University Archives. Ian McKnight will take part in a New Now Next discussion panel, hosted at the Design Museum London, curated by the Irish Architecture Foundation alongside other leading Irish architects, Clancy Moore, Steven Larkin and TAKA. The event will be introduced by Oliver Wainwright, Architecture and Design critic for the Guardian. Ian McKnight spoke at the Higher Education Design Quality Forum conference, held in Manchester and entitled: The University and the City. As part of the session: The sustainable city and the university – how to make universities and city connections sustainable, Ian reflected on the history of the city and the challenges in developing proposals for King’s College London in what is an historically sensitive and physically constrained site. Hall McKnight attended The European Award for Architectural Heritage Intervention AADIPA in Barcelona, as one of 5 finalists in the exterior space category, for their project Vartov Square in Copenhagen. The practice was selected from over 200 entrants spanning 25 different European countries. 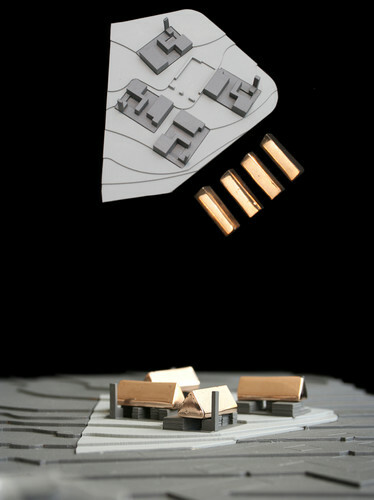 The award recognises quality and awareness of contemporary work in relationship with architectural heritage in Europe. Alastair Hall and Ed Pepper from Hall McKnight, took part in a discussion panel with other Irish and London architects, comparing experiences in relation to the start of their careers and discussing whether now is a good time to be young in architecture. This event was organised in association with the British Council and the Architecture Foundation. Hall McKnight attended the official launch of the Yellow Pavilion, erected as one of two temporary pavilions in Lewis Cubitt Square, King’s Cross. 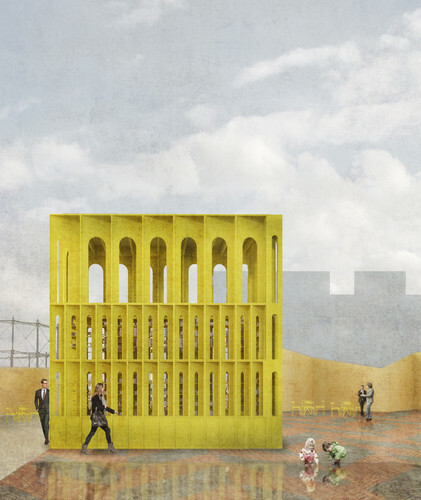 The Yellow Pavilion is a temporary space that will occupy a site at Lewis Cubitt Square at King’s Cross, London for the month of June. It is one of two pavilions commissioned by ID15 as part of the London Festival of Architecture. The pavilion is currently in the process of manufacture and will be opened on the 1 June 2015 at one of the first events of LFA. It contains an exhibition involving 1000 reclaimed bricks from Belfast in response to the theme of LFA 2015, ‘Work in Progress’. 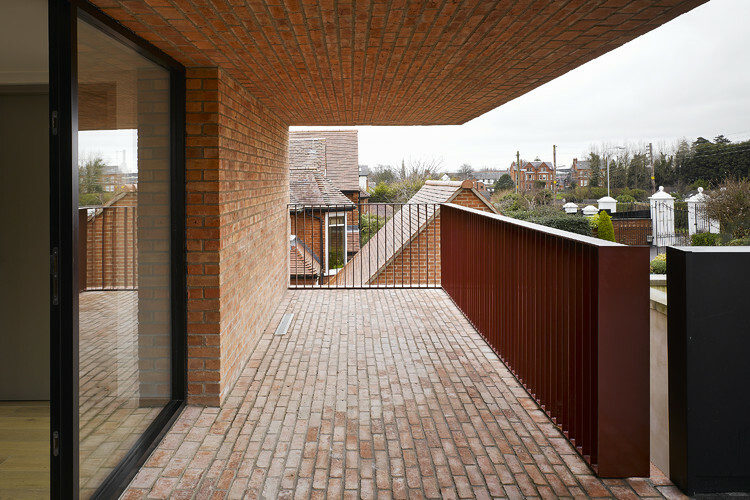 Hall McKnight have won two RIBA Regional Awards for the houses at Church Road, Belfast and Victoria Road, Holywood. 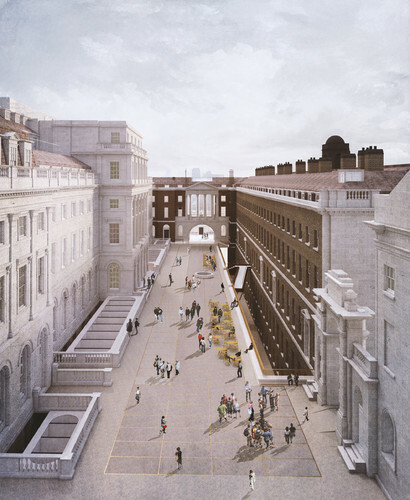 Hall McKnight’s proposals for King’s College London have progressed through Westminster City Council’s Planning Sub–committee with a confirmation of their resolution to approve the planning application. 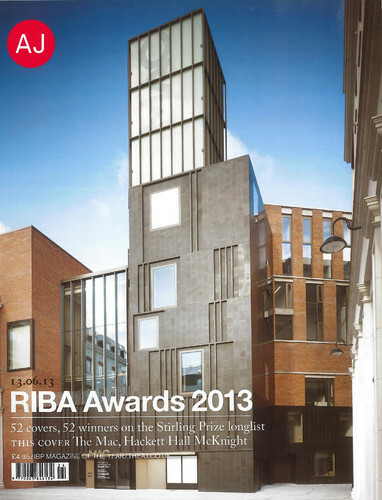 Church Road and Victoria Road have been shortlisted for RIBA awards in the Northern Irish region. Alastair Hall will be lecturing at the Nottingham School of Architecture on Thursday the 26th March 2015, as part of their Architecture Matters series. As one of a group of architects from the island of Ireland, Hall McKnight will be participating in the London Festival of Architecture with a pavilion at King’s Cross. The project was commissioned through ID15, the year of Irish Design 2015. Following the practice’s success in winning the Downes Medal in 2014, Alastair Hall joined the judging panel for the AAI Awards 2015 alongside Oliver Wainwright, Kevin Carmody, Amelia Stein and Sarah Cremin. Vartov Square in Copenhagen has been shortlisted for one of the most prestigious awards in international architecture. 40 works have been shortlisted from 420 nominations. Vartov is one of four projects nominated by architects based within the UK. 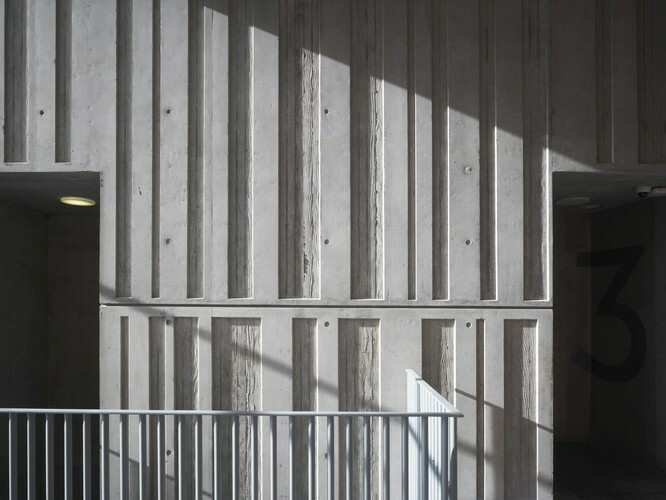 Alastair Hall and Ian McKnight will lecture on the work of the practice at the Kingston School of Architecture and Landscape on Wednesday 11th February 2015. On 28.11.2014 Ian McKnight returned to the Mackintosh to lecture on the work of the practice. Hall McKnight has been declared one of the successful practices in an invited competition organised by Malcolm Reading Consultants. The competition was to make proposals for a site within a masterplan for a housing development in a rural location south–east of Prague. 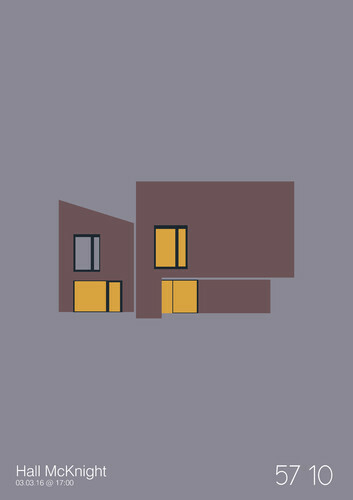 The contest brief required a proposal for 4 courtyard houses; the practice has now been commissioned to develop ideas for a site within the masterplan along with other successful contestants. Hall McKnight has won an RIBA European Award for Vartov Square, Copenhagen. Hall McKnight have won an RIBA National Award for the PSNI Memorial Garden. Hall McKnight was also declared the RIBA Regional Architect of the Year 2014. 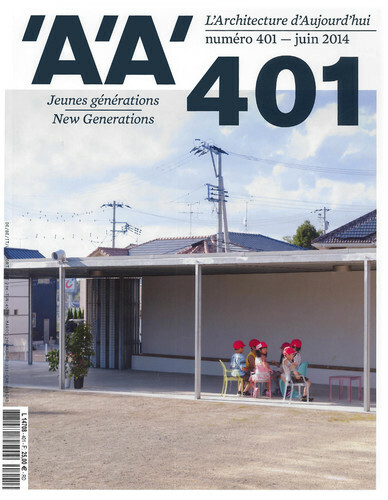 Vartov Square and PSNI Memorial Garden were included in this issue of L’Architecture d’Aujourd’hui which focussed on the work of a new generation of architects. 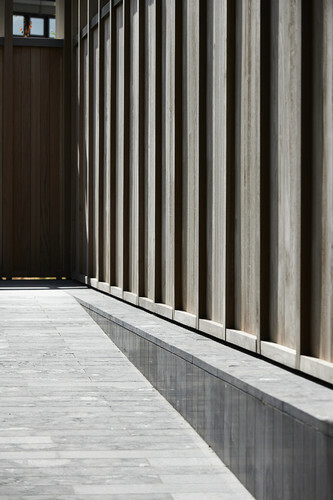 Hall McKnight have been nominated for the BSI Swiss Architecture Award. The biennial award is conferred upon an architect, from anywhere in the world, who has made a significant contribution to architecture. Hall McKnight were one of the 27 candidates nominated in the latest edition of the award. The Downes Medal is the highest award conferred by the AAI. The AAI awards are peer–reviewed involving a distinguished panel of judges, including one international judge; the Downes medal is the most prestigious architectural award in Irish Architecture. The MAC was conferred with the Downes medal at a ceremony marking the opening of the Awards Exhibition in Merrion Square Dublin at the Irish Architectural Archive on 27th May 2014. The exhibition showcasing the MAC included the screening of a film by Henrietta Williams, commissioned by the AAI and sponsored through the Arts Council of Ireland’s ‘Engaging with Architecture’ scheme. In addition to the MAC winning the Downes Medal, Vartov Square in Copenhagen was one of 6 projects to receive an AAI Award at the same ceremony. Vartov Square and PSNI Memorial Garden both nominated for the European Public Space Prize 2014. This biennial prize is operated by the Barcelona Centre of Contemporary Culture (CCCB). 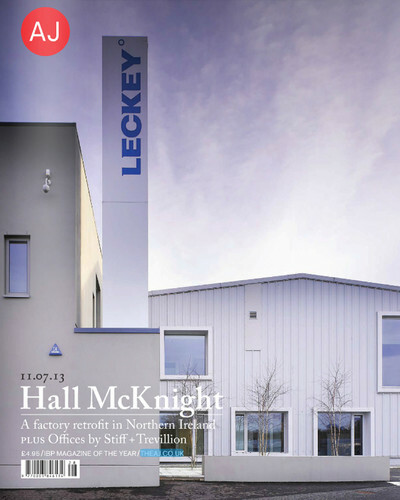 Our low–budget project to refurbish an existing industrial unit for Leckey, a manufacturer of specialist furniture and aids for disabled children, has been featured in AJ. The project has also been successful in winning an RIBA Regional Award 2013. 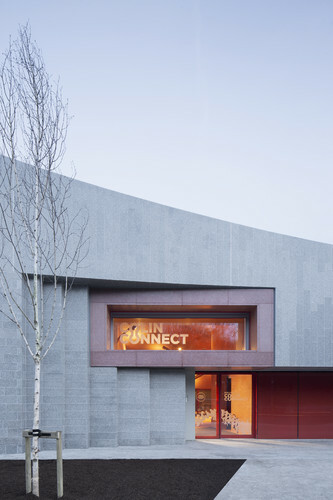 The Metropolitan Arts Centre has been successful in winning several prestigious national awards, including an RIBA National Award, and a place on the Stirling Prize Midlist. 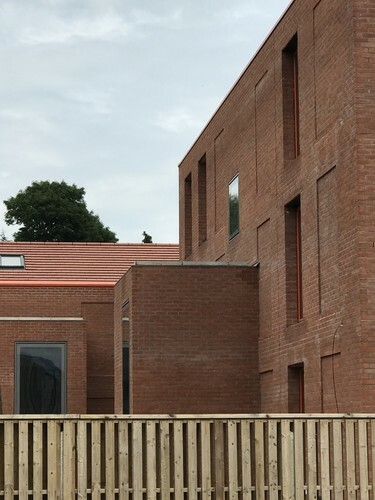 The MAC has also been successful in winning a Civic Trust Award and the Brick Awards ‘Supreme’ and ‘Public Building’ Award. The MAC has been widely published since its completion in February 2012. 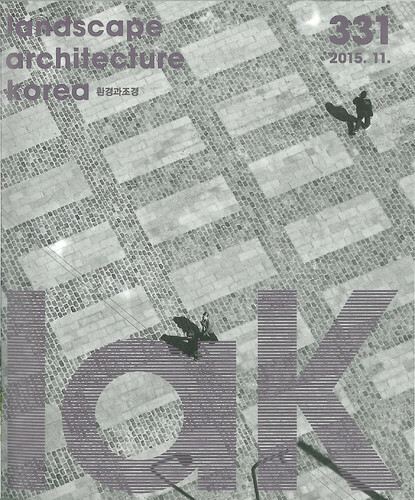 The project has been featured in a number of international journals including The Architects Journal, Architectural Review, Building Design, Architecture Today (London), Bauwelt and DBZ, (Germany), Space and C3 (Sth Korea) and Casabella (Italy). Vartov has been widely published in a number of national and international journals, including Bauwelt (Germany), Building Design (UK) and Arkitekten (Denmark). 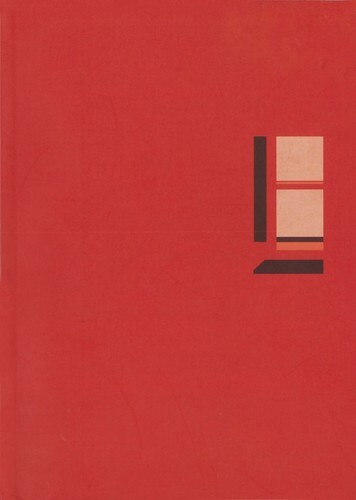 Ian McKnight has contributed an essay ‘Unique Instruments’ to the QUB Press Publication ‘The Elaborated Window’. The publication follows from the publication of ‘Stair Rooms’ in 2012 and further documents the work of the postgraduate MArch course led by Andrew Clancy and Colm Moore. Following its nomination for the Design Museum ‘Designs of the Year’, the MAC was exhibited at the Design Museum, London as part of the accompanying exhibition. The space available was very limited, so for our exhibit we commissioned a time–lapse ‘triptych’ which includes a sound track, which attempts to demonstrate the adjustments to the character and atmosphere of the building effected by changes in occupation, weather, and the passing of a day. 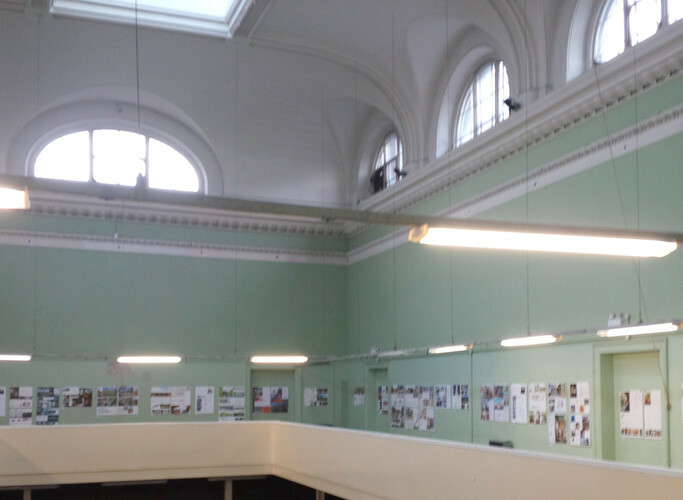 Ian McKnight delivered a lecture at this symposium in Glasgow in consideration of the relevance of literary ideas, particularly fiction, to architecture with reference to the work of the practice.